Product information "Box LED longish ceiling light"
The box elongated ceiling light impresses with its integrated light slots and is a perfect furnishing element. The box is a ceiling light with thin lines and a metal frame with white lacquer or a surface in gray finish similar to a white light strip. The high-performance LEDs guarantee high light output with low power consumption. 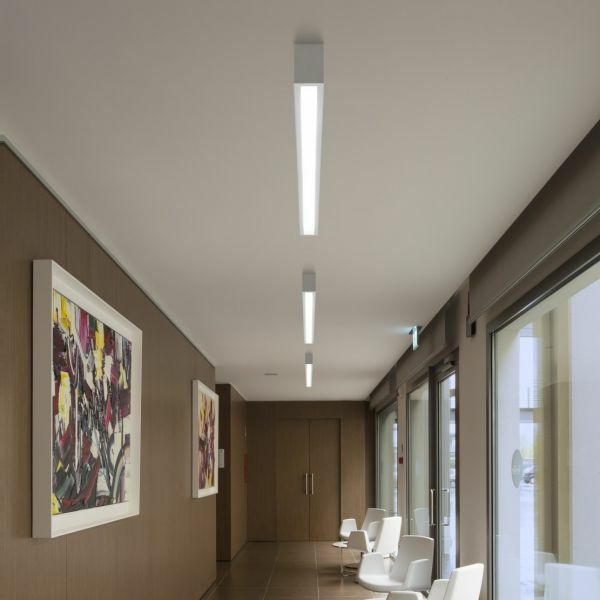 This ceiling light is ideal for the illumination of corridors: it emphasizes the length of the corridors and at the same time illuminates the passages. It is manufactured by the Italian manufacturer Linea Light. Related links to "Box LED longish ceiling light"